The vote of no confidence has come through the British Prime Minister. But a solution to their Brexit dilemma is not in sight. She has to submit a plan B soon. Time is getting scarcer. 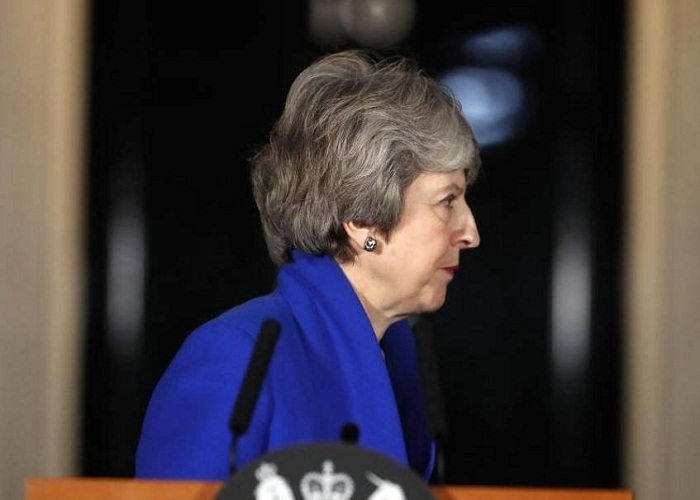 London / Berlin (AP) – British Prime Minister Theresa May survivedone day after the clash of defeat for the Brussels- negotiated Brexit Treaty, a motion of no confidence from the opposition. A majority of 325 to 306 MEPs expressed confidence in May’s parliamentary assembly in London Wednesday and May . Opposition leader Jeremy Corbyn had previously vainly called for a new election in a passionate debate. Speaking at a late-night speech late Wednesday, May told London’s government that she believed it was her duty to lead the UK out of the EU . She has already held talks with opposition politicians on the country’s further Brexit course. Opposition leader Jeremy Corbyn had denied meeting with the head of government as long as May did not rule out a disorderly Brexit . She regrets that, but the door remains open, May said . The Prime Minister wants to explain to Parliament next Monday how it should go on to prevent a chaotic EU exit in ten weeks yet. Before that, she wants to consult with the other parties in the lower house. The deputies had made it clear what they did not want, said the head of government in the short speech. Now, we must work constructively to find out what Parliament wants. It is now time to put aside self-interest. In the EU , the demands on the UK’s address are getting louder and louder as soon as possible to put forward specific proposals for the further procedure. A renegotiation of the agreement excluded EU leaders. Time is running out. If an exit from the EU without agreements with drastic consequences for the economy and chaos in many areas of life is to be avoided, an agreement must be reached within a few weeks. On March 29, Britain wants to leave the EU . The Bundestag deals this Thursday with the planned EU exit of Great Britain . The MEPs have received a draft of the Federal Government for a Brexit transitional law. This concerns regulations for a transitional period after the withdrawal planned for the end of March. The Brexit agreement, which was rejected by a large majority on Tuesday evening in the British House of Commons in London , provides for a transitional period until at least 2020. The deputy chairman of the SPD parliamentary group, Achim Post , appealed to May to use the “second chance” that she had received from parliament. Even the chairman of the Foreign Affairs Committee in the Bundestag , Norbert Röttgen ( CDU ), now sees the government in London on the train. “The ball is clearly in the British field,” said Röttgen the ” Passauer Neue Presse ” (Thursday). The FDP parliamentary group announced a motion for a resolution urging the federal government to “engage in talks with our British partners to keep open the path of Article 50 repossession.” On 29 March 2017, the British government officially informed the other EU states that the country wants to leave the EU . This marks the beginning of a two-year exit procedure under Article 50 of the EU Treaties, which ends on schedule with Brexit on March 29, 2019, exactly two years later. The European Court of Justice ruled in December that Britain could easily stop Brexit , announced for 2019, and remain a member of the European Union . A consent of the other EU states is not necessary. So far, however, it does not appear that London wants to follow this path. Meanwhile, the demands for a second referendum are louder. The British had voted in favor of leaving the EU by a narrow majority in a referendum in June 2016 . After the failed vote of no confidence opposition leader Corbyn should come under pressure. A large group of Labor MPs wants him to back the demand for a second Brexit referendum. Corbyn had announced that he would consider this option should a new election prove impossible. NEXT POST Next post: Mick Schumacher in the Ferrari squad?